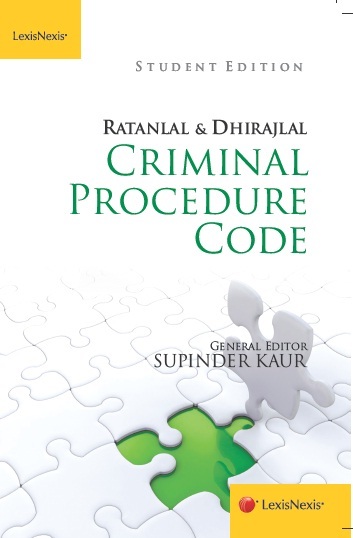 Ratanlal and Dhirajlal’s Criminal Procedure Code is a comprehensive study on all important aspects of criminal law updated with the amended provisions of the Criminal Law (Amendment) Act, 2013. Most recent judgments of the Supreme Court and High Courts have been discussed in all chapters. The book also includes relevant provisions from The Indian Penal Code and The Law of Evidence. The main feature of the book is the ‘Learning Objectives’ and ‘Points to Remember’ in every chapter for the convenience of students. It is intended for students of LL.B and LL.M and the legal teaching faculty.